It’s now easier to count the international brand names who are not present than those that are. So if your ambition is to shop until you drop while you are here we suggest the first place you look is at the list of hypermarkets and malls listed in our shopping section. While this is not a list of all, it is a selection of what we view as the best ones from each of the 3 cities. 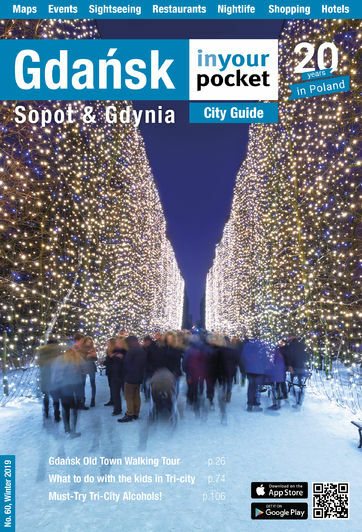 With Klif the closest mall to Sopot, Galeria Baltycka the most convenient large mall in Gdansk, and Designer Outlet Centre the Tri-city's largest discount outlet, you can sate most shopping desires there. Books, DVDs, games and international press. The discount supermarket chain has a strong presence in Poland and you'll find 2 stores in Sopot on the main Gdansk - Gdynia road. Expertly crafted original jewellery. Exhibitions also regularly organised.